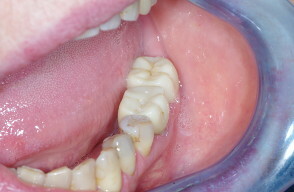 Sometimes a tooth cannot be restored with a filling and a dental crown is required. Crowns are long lasting restorations. There are many options for crowns. On the NHS tooth coloured crowns can be provided at the front of your mouth but the NHS does not provide these on your back teeth. 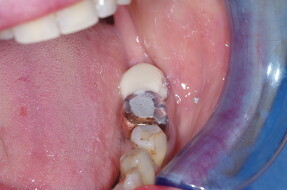 On your back teeth the NHS allows for a metal shell crown which is a silver/gold in colour. 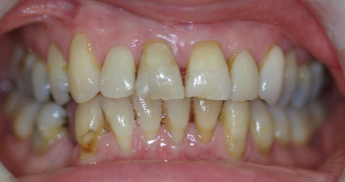 This patient recently had an old, silver crown replaced with a tooth coloured one. 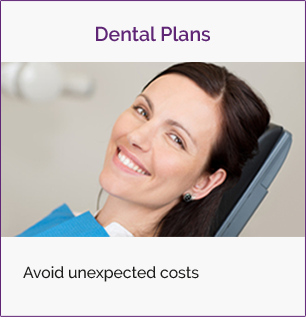 Privately we offer various types of crown and the options will always be discussed with you. These crowns are made from higher quality materials than ones provided by NHS and are much more aesthetically pleasing. 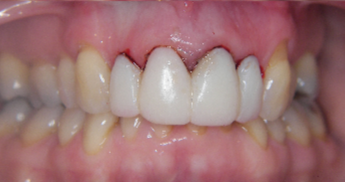 When patients have lost teeth, bridges are sometimes provided to restore the space by using the existing teeth to carry the false ones. Bridges can be provided on the NHS but approval from the health board is required prior to commencing treatment. 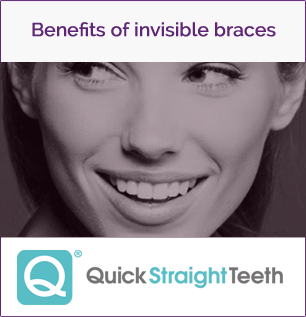 Like crowns, bridges provided privately are of a higher quality and are much more aesthetically pleasing. 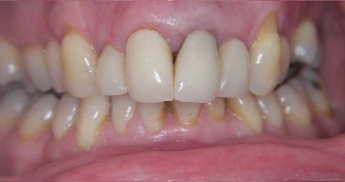 If you are unhappy with the appearance of your teeth dental veneers might be the best cosmetic treatment for you. 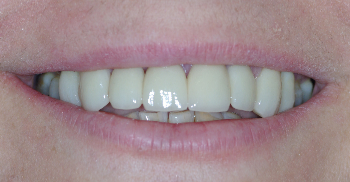 A dental veneer is a thin layer of porcelain or ceramic that is cemented onto the front of your tooth. Veneers can be used to change the shape, appearance and/or colour of your teeth and are an extremely effective cosmetic treatment. 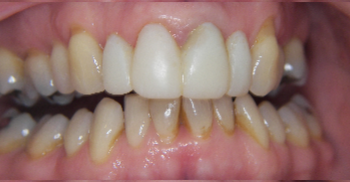 Crowns and veneers are handmade porcelain restorations, designed to strengthen and improve the appearance of teeth. 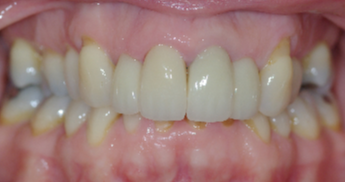 In CASE ONE the patient has some existing crowns that she would like improved. The first picture shows the original crowns. In the second picture the patient has had a trial wax up made. 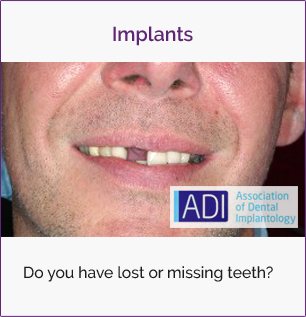 This allows for the shape and size of the proposed crowns to be discussed with the patient prior to the commencement of treatment. .
Pictures three and four show the provisional crowns in place. 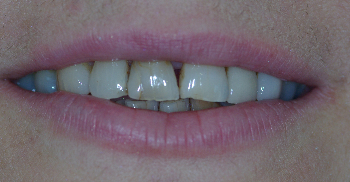 These temporary crowns are place to allow assessment of the new shape in the mouth. 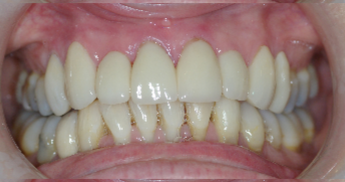 the patient has had some slight adjustment to the shape of her gums in the picture three, with this being completely healed in picture four. 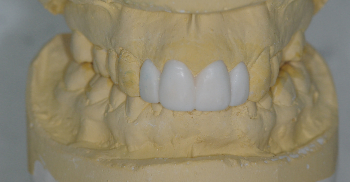 The provisionals allow assessment of the shape and size of the new crown, prior to the completion of the treatment. Pictures five and six show the completed smile. 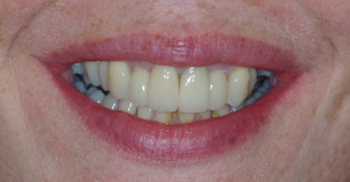 Case two shows the complete rejuvenation of a smile using veneers on the upper teeth and bleaching the lower. 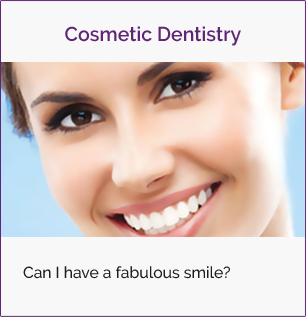 To speak to us about crowns and veneers, contact us now.